The concept of automation symbolises high quality and productivity, so ensuring customers experience minimal downtime is essential. Remote diagnostics provides timely and cost-effective solutions to minor but disruptive issues. With factory trained and local technicians worldwide, AXYZ is able to diagnose problems without coming to site, saving money and eliminating downtime in the process. No matter how the issue is reported, the solution is the same. A ticket is created by a member of the Customer Care team and entered into the system, where it is then assigned to a service technician. Customers are contacted within the hour, and 60 percent of the time, the issue is resolved within 1 hours. If customers are members of one of AXYZ’s Service Support Plans, their issue receives priority status and resolutions are even quicker. With remote diagnostics enabled, technicians get access to the CNC machine’s computer system to quickly assess and troubleshoot the situation. A majority of the time, the issue is resolved over the telephone without going onsite. 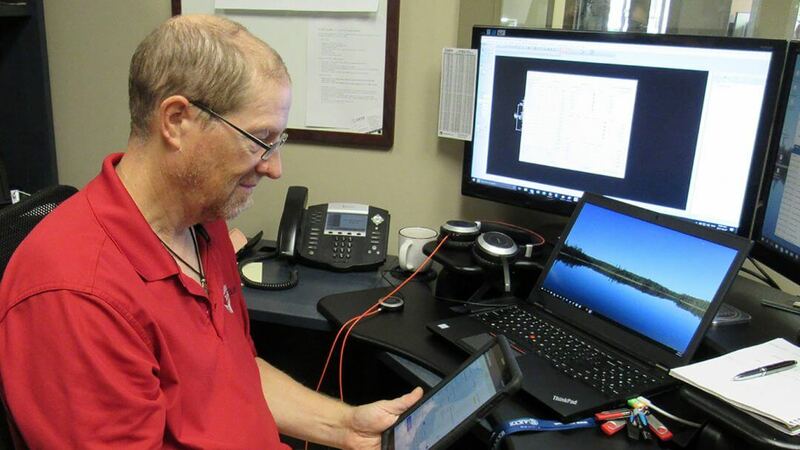 For issues that require an onsite visit, a telephone call allows the technician to get to the root cause quickly and identify what parts to bring to the customer. Less time onsite means higher level of productivity and minimized downtime– a definite plus for the customer. When it comes to identifying which issues are better suited for the process than others, it’s next to impossible. The issues are as wide and varied as the types of machines AXYZ makes. Whether it’s electrical, mechanical or software – all issues can be diagnosed using AXYZ’s tried and tested remote diagnostics process. AXYZ’s research shows that CNC machine owners can take a few simple steps to maximize productivity and efficiency when using router technology. For more information, read our blog post Common mistakes to avoid when using CNC Router Technology.